Designs that wow clients. Beautiful, different, memorable, user-friendly. Yet cost-effective to install and cost-efficient over time. Artificial grass from Heavenly Greens is a dream come true for designers and architects. We are Northern California’s leading provider of artificial turf. 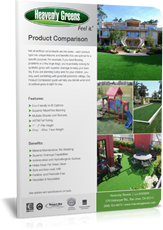 We offer the only eco-friendly synthetic grass products for commercial and residential installations, ideal for sustainable, LEED-certified projects. We have made thousands of customers happy, and you will, too. 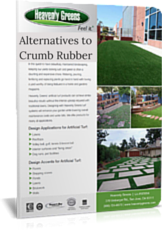 We have all the resources you need to choose and spec gorgeous, appropriate artificial turf for every application. Our CAD details section pulls it all together for you. How to use artificial grass as a design and architectural element in commercial and residential projects. 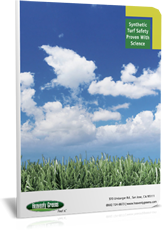 Complete product guides and other useful information to help you learn more about Heavenly Greens’ top-of-the-line products and select the right turf for each job. You name it. Top-quality artificial turf from Heavenly Greens is the perfect alternative to natural grass in any setting. And you can use it where live grass is out of the question. Schools, colleges, dog parks and kennels, rooftops and walls, common areas, event venues and recreation areas. Create unique designs and logos. All with no worries about how your design will actually turn out, thanks to our expert in-house installation crews.